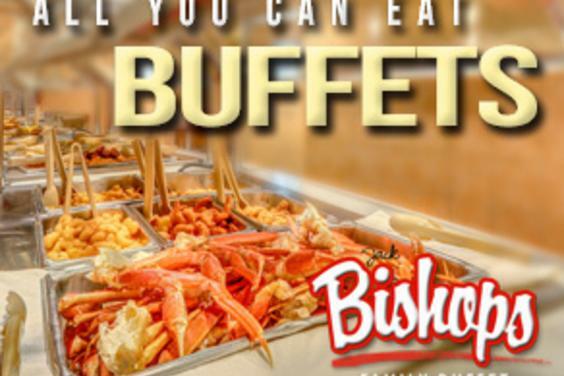 Panama City Beach's original family buffet is hosted by renown local restauranteur, Jack Bishop, and an experienced crew that has been serving Panama City Beach since 1971. Three great buffets daily: Breakfast 8a-11a; Lunch 11:30a-2p; Dinner 3:30p-till. 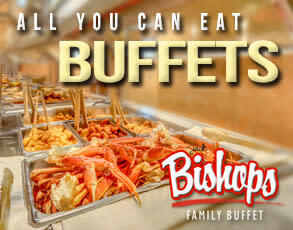 The finest #1 crab legs are included with every dinner buffet. Nothing less than the best buffet value on the beach.